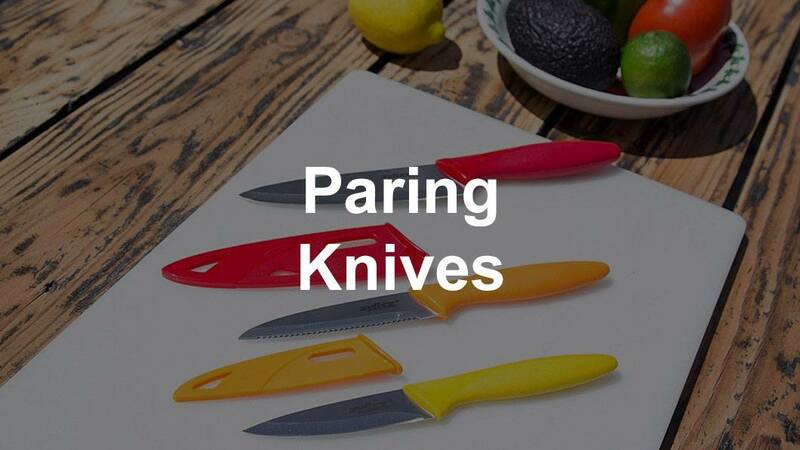 Having the best paring knife is an essential tool in any kitchen. Small, handy, and versatile, they are up for anything you throw their way. Designed for detailed prep work, they are deserving of their permanent place in any chef’s workspace. Buyer beware, though, because not all knives are created equal. 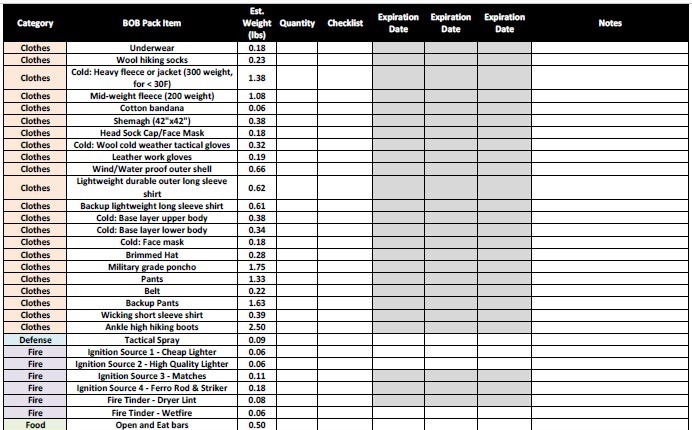 To save you the time and hassle, we have done the research for you. The following sets have been hand-chosen as the best on the market. In this article, I have compiled a list of the top 10 best paring knife reviews in terms of price and performance. 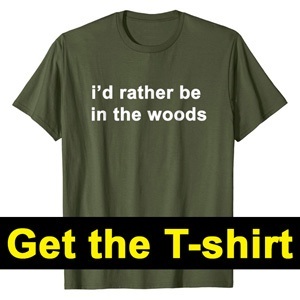 Like getting the most bang for your buck? 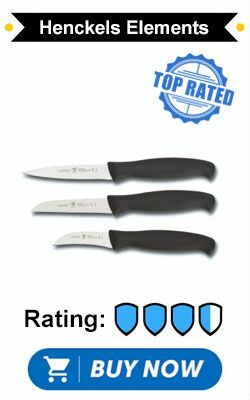 This three-piece set features not only a razor sharp 3.5-inch paring knife, but also a 3-inch vegetable knife and 2-inch peeling knife. Their ultra-thin blades each have a unique shape, making them ideally suited to take on any task. Stamped from high quality German steel, they sport ergonomic handles that give them perfect balance and maneuverability. Add a lifetime warranty and a price tag that will not send you reeling, and you have the ideal knife for the practical, quality-driven home chef. 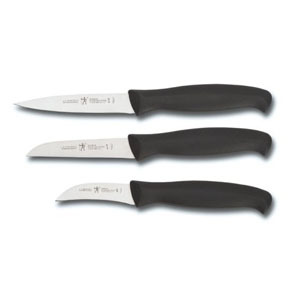 If you want your knives to pop and keep food-borne illnesses at bay while doing so, you cannot go wrong with this set of three. 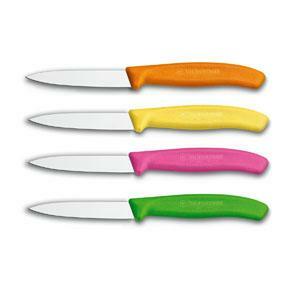 Each 4-inch blade is uniquely colored to prevent accidental cross contamination. Simply assign a color to a specific kitchen duty and cut in confidence. 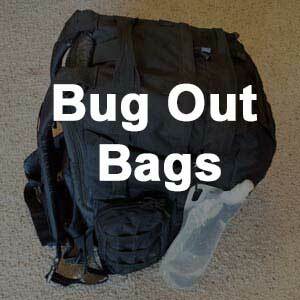 When you are done, just wash and slide them back into their accompanying sheaths to prevent accidental cuts. 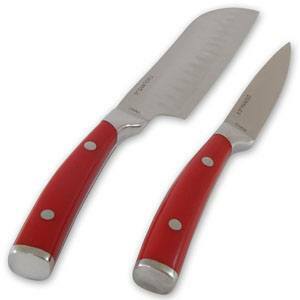 Kuhn Rikon also added a non-stick coating to each blade, as well as cushioned handles to make chopping and dicing a breeze. Three top quality paring knives equals one amazing set. Made of carbon reinforced stainless steel, these blades come equipped with their own sheaths to protect them when not in use. 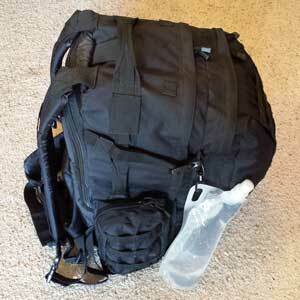 The three sizes also allow this set to tackle any job. The thing that really puts this set in a league of its own, though, is the serrated edge on one of the knives. Any experienced chef can tell you that a knife that can saw through tough root veggies like this one can is worth keeping. 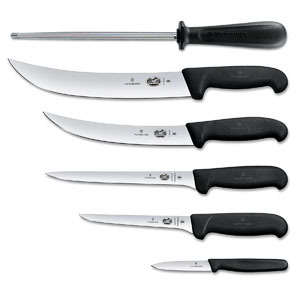 The Swiss Classic is a set of four 3.25-inch paring knives that lives up to the high standards of Victorinox production. Each honed blade has its own unique color, setting each one apart from the rest of the knives in your kitchen while adding a splash of vibrancy. Their appealing look and ergonomic design allow them to work as well at the table as they do on the cutting board. Professionally crafted in Switzerland, the blades are fused to pathogen-resistant fibrox handles, making them a great hygienic choice. They have been endorsed by the National Sanitary Foundation. 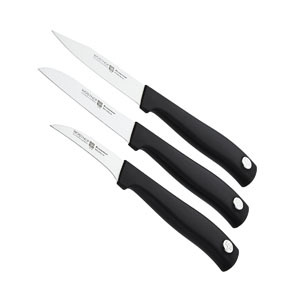 This Victorinox paring knife set is one of the best if you want quality. I am really excited about this one! Anyone who watched Emeril’s rise to prestige attests to the quality of his work. Apparently, that quality has spilled over into his cutlery products. 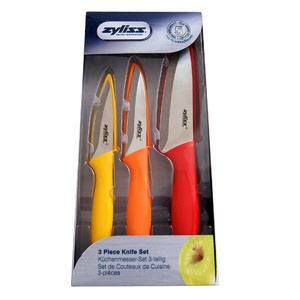 The 3.5-inch paring knife found in this set also comes with a 5-inch santoku knife. Therefore, you can be in control of all stages of preparing your next meal. A full tang design, easily wieldable size, and forged steel blade come at a price that will make you want to purchase every set in stock! From the craftsmen of Solingen, Germany comes this set by Wüsthof. Three laser-cut paring knives make up this fine set—a 2.75-inch bird-beak blade, a 3-inch santoku, and a 3-inch spear-point. Wüsthof created a lightweight and durable knife set that is not made through a stamping process. Their dual-tapered honing process and treated carbon steel composition give these blades villainously sharp edges that are resistant to dulling from extended use. 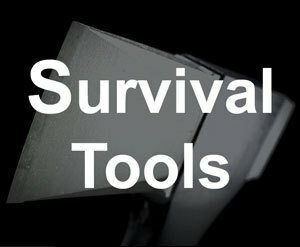 Each of these amazingly crafted knives were designed with a task in mind, so you will never again be without the ideal tool for the job. 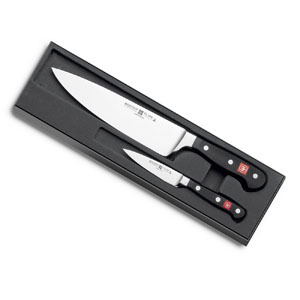 This Wusthof paring knife set is another great choice if you are going for quality. The Master Cutlery Top Chef Set is an exception to that rule. 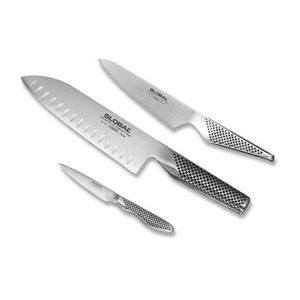 For one amazing price, you get two large santokus, a paring knife to rival those in an executive kitchen, a sharpening rod, and a nylon carrying case. This is the perfect set for the travelling chef, camper, or tailgater. The stainless steel blade of this knife is ice-tempered to create a harder, longer lasting edge and can be relied upon to perform for years to come. Every one of these brilliantly made knives is deserving of its own article. With the outdoorsman in mind, Victorinox has created an elegant 7-piece kit. 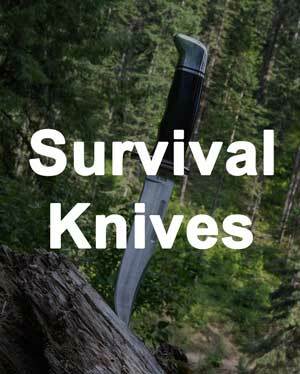 It consists of a top quality, 3.25-inch paring knife, with 4 other knives for various tasks, a sharpening steel, and a nylon knife roll for safe storage and transportation. The handles in this set are made of high quality, easy to clean fibrox that maximizes grip and maneuverability. As a finishing touch, each knife is honed and polished by hand in Switzerland. Wüsthof really did their homework before making this set. Each of these full-tang blades are carefully forged using carbon reinforced, top quality stainless steel and sharpened by hand to create the perfect edge. 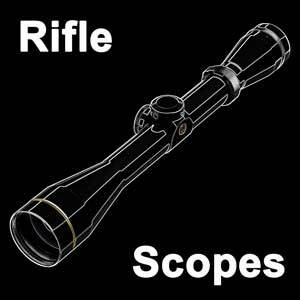 On top of that, they are triple rivetted to their handles for maximum strength. 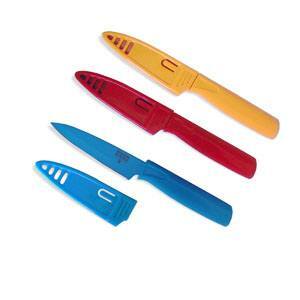 Along with the quality 3.5-inch paring knife, you also get an 8-inch chef’s knife, so you are ready for any situation. Maintenance on these dishwasher safe blades is minimal, and, if treated with care, your knives will withstand daily use without the need to sharpen for months at a time. These knives are the epitome of quality. 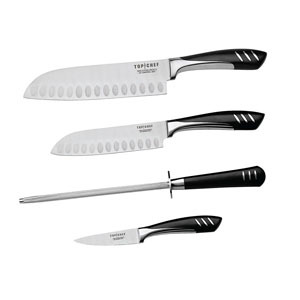 In each set, you can find a 7-inch santoku, a 5.25-inch all-purpose utility knife, and a 3.5-inch paring knife. They boast a gorgeous one-piece stainless steel design to which is added a special combination of Molybdenum, Vanadium, and Chromium to maximize their sharpness and anti-rust properties. Each knife features a sand-filled handle with a dappled grip to give it the ultimate combination of balance and safety. Lightweight, durable, and crafted with the Japanese level of care known around the world, this knife is the best you can get.